DOES this title ring a bell? If you have ever used an ATM (Automated Teller Machine) in Nigeria, you would have heard something similar to the title of this article but with a minor change. So, what is the point in all these? Let’s assume you were at an ATM to withdraw some cash for your fiancée and as usual, you heard the “Please wait while your transaction is processing” but you waited for more than 10 minutes without any cash coming out. It is very likely that at this stage you may want to go inside the bank to report this problem and may be, if the bank is reasonable, you will get the problem resolved within minutes. This same situation applies to Nigeria, we all want to see a “wonderful Nigeria” (motorable roads, stable power supply, zero per cent unemployment, zero per cent extreme poverty and among other good things) but it is taking very long for us to see this “wonderful Nigeria” but whom do we report to? Nigeria is unquestionably one country that the Almighty has bestowed with rich natural resources and wonderful people who try to survive even when conditions are not favourable. 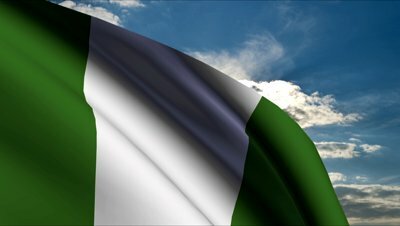 Despite the negative image being painted by both Nigerians and foreigners of Nigeria, I still believe that there is something special about Nigeria and even if all may not look cozy at the moment, Nigeria has the potential to become one of the top countries in the world within the next few years, all things being equal. To achieve this, Nigerians need to demonstrate a very high level of patriotism and participate only in processes that will bring about a positive turn-around in the country. It is taking long for us to see that “wonderful Nigeria” because we have refused to change our malevolent ways that have held us from moving forward. Some other countries are already producing results and that is why we run to these countries in search of greener pastures. Nigerians are so quick in pointing accusing fingers at the government for any negative thing that happens to/in the country but we are largely responsible for the negative image Nigeria may have enthusiastically earned. Today, examination malpractice is rampant in almost all schools, our parents and teachers now see examination malpractice as something that must be done to ensure students pass their examinations. On the internet, you see websites created by Nigerians solely to provide illegal examination answers to Nigerians. That Nigerians are seen as fraudsters in the eyes of foreigners may not be unconnected with the obnoxious things we do in foreign countries. We engage in drug trafficking, prostitution, illegal marriages and internet scam just to make quick and easy money. One thing to note is that the activities of some unscrupulous Nigerians abroad jeopardises the chances of innocent Nigerians getting an opportunity abroad. Instead of running out of the country to engage in fraudulent activities, why not stay in the country and join hands in developing it. John F. Kennedy said, “Ask not what your country can do for you but what you can do for your country”. In our offices, how do we carry out our daily activities? Some of us insist on collecting bribes before we render our duties. How do we handle government facilities in our possession? We treat them badly. We dispose our wastes on the main road, allowing them to clog the gutters and cause flooding. Nigerians barely obey traffic rules and we are also responsible for the religious/ethnic violence and terrorism Nigeria is currently experiencing. We produce and sell fake and pirated CDs (Compact Discs), engage in kidnapping, nepotism, money laundering and other forms of not-too-worthy things. To create that “wonderful Nigeria” we all crave for, we must first of all, stop our malevolent ways. Though there is no denying the fact that the government still has a role to play in ensuring the country develops rapidly, greater responsibility, however, rest on the shoulders of the average Nigerian. My Nigeria is your Nigeria, if you refuse to change, Nigeria won’t change either. Let the change we are seeking begin with each individual and Nigeria will become a new Nigeria of our pride and joy. Finally, Nigerians should embrace entrepreneurship and young people especially, need to use technology in creating innovative products and services that can help develop the country. We need change in Nigeria but this change can only start from you and from me.